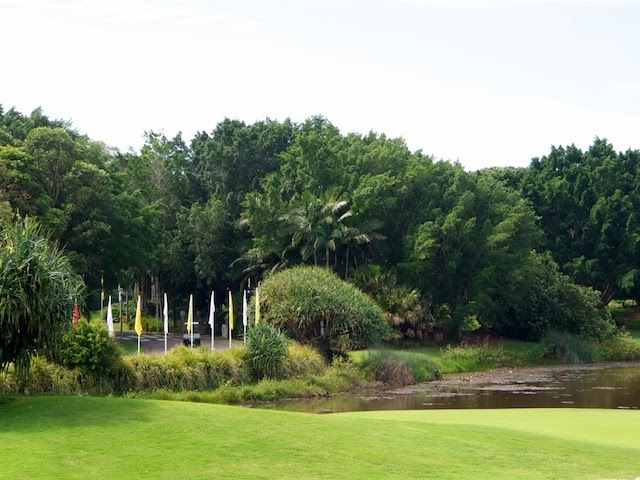 A glimpse of the entrance driveway from the clubhouse at Palmer's Coolum Golf Course. Relevant this week because the PGA tournament that was once held here was held on the Gold Coast last weekend. Clive clearly understood that the cost of running the tournament was far more than the income it generated for him, which is fair enough, but it's a pity the city didn't do some numbers to quantify the benefit the business community at large derived from the event. There again, it's probably just as well the town let it slide now that Clive is a MP. Imagine the hue and cry if he'd been given some sort of grant to keep it running!